Bob (AKA: Cherry) is always offering great advice in the Tripawd Discussion Forums. One of his most helpful frequent suggestions is to keep a journal of your dog’s amputation recovery. Bob started Cherry’s web journal, before we launched the new and improved Tripawds Blogs community. But for those who prefer the old fashioned method, the Tripawds Health Care Journal may be just the thing to help keep track of important notes and milestones during amputation recovery. As Bob says, “…keeping daily notes helps keep events in proper perspective. This does not mean that we look at things as better or worse, but rather remember them more accurately.” We couldn’t have said it any better. Thanks Bob! With the wealth of information about caring for canine cancer survivors, the Tripawds Health Care Journal is a great way to compile your thoughts. 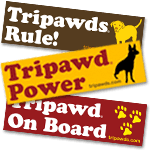 It is a wire-bound, 160 page journal with your choice of papers and measures 5″ x 8″ – a handy on-the-go size to fit in your Tripawds Tote Bag. Use the Tripawds journal as a daily planner to keep track of appointments or medication schedules. Use it to reflect on your pup’s three legged triumphs, or document mysterious behavior. Jot down recipes and supplement resources. 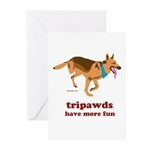 Or, send it as a gift to another member of the Tripawds family. 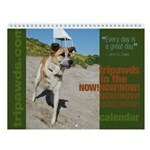 Feature’s Jerry’s inspawrational Tripawds slogan – It’s better to hop on three legs than to limp on four. 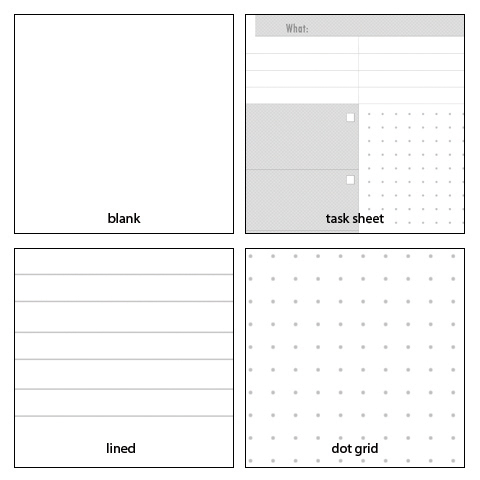 Filled with your choice of 60lb book weight (24 lb bond) paper – blank, dot grid, lined / college-ruled, or a task journal. Pawrents must stay warm too.